Get tips about Electrostatic Precipitator, ESP Insulator, Spares and Power Plant Items solutions. You may have heard about different types of useful technologies to ensure air purification. UV light, fibreglass or HEPA filters, activated carbon and a lot more. Each of them uses a specific strategy to remove particles and thus purify the air. Electrostatic precipitators are technologies for air purification mostly used to clean industrial fumes though now they are used for residential air as well. Let’s have a quick look at some important points to know about an electrostatic precipitator. Basically, this helps to purify the air by means of electrostatic force for grabbing and holding dust as well as other particles. The tool consists of wires and collection plates along with high voltage through an electrostatic field between wires and collecting plates to charge the air electrically while ionizing them during the process. While airborne particles like pollen or dust flow between the plates, those particles become charged and that causes them to get attached to the plates. And then the air flows through leaving those particles behind. The entire process results in clean and purified air. Particles collected in the plate are shaken loose and then scraped off or washed away. This process ensures disposal of airborne particles in an eco-friendly manner. Electrostatic precipitation is a highly organised method for filtration of fine particles from sinuous gas. Such precipitators are able to manage a large quantity of air without causing significant slowing down in the flow rate. However, while choosing an electrostatic precipitator (ESP), you must keep in mind the purpose of buying it. For example, the ESP used for kitchen must be different from the one used in industrial units. Extraction of air from the kitchen is a complex process as this air is a complicated compound mixture of grease, smoke, water vapour and temperature. So for your kitchen, you should choose one that is explicitly designed for kitchen environment instead of a non-specific industrial ESP. Mainly two types of electrostatic precipitators are available in the market. They provide different levels of air purification. Let’s have a look at how they work. Plate precipitators – This is the most common type of ESP. This contains a row of vertical wires that provide the particles with a charge while the collecting plates collect and hold the particles. This basic, two-stage design (first charging and then collection) ensures reduced ozone production that can be otherwise harmful if inhaled. This type of ESP is specifically beneficial for those working in close proximity to the device. 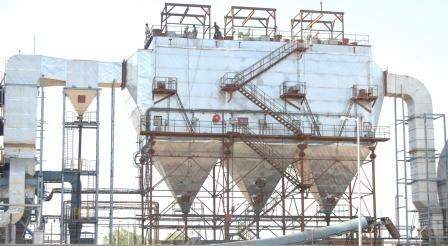 Wet precipitators – This is another widely used type of precipitator. This is also called a WESP or a Wet Electrostatic Precipitator. This device is mostly used for removal of liquid droplets like sulfuric mist from the industrial steam. WESP uses a typical tubular design to let the collected particles and moisture form a thick combination. This model comes really handy for content holding a huge quantity of moisture or containing combustible particles. Discussed above are some important factors that you must know before using an electrostatic precipitator. How Does An Electrostatic Precipitator Reduce Air Pollution?